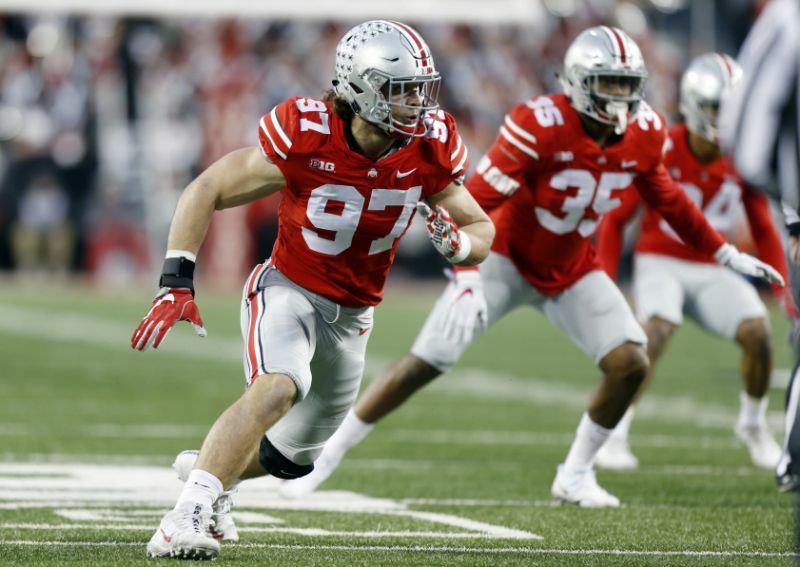 Nick Bosa made the announcement yesterday that he was going to step away from the Ohio State program to focus on recovering from his core muscle injury and focus on the NFL Draft. I can’t say I’m surprised, the writing was on the wall for Bosa, who could be the first player taken in the 2019 Draft. After the injury he suffered in the TCU game, Bosa has opted to shift his efforts toward the draft process. It’s hard to blame for this decision. I’m sure there’s a splinter group of college football fans that are unhappy with this choice, but this is the right decision for his future. Bosa is the best player in college football according to numerous draft analysts and scouts. Any long-term injury could’ve affected Bosa’s draft selection, so it’s not worth the risk to drop even a couple slots. Decisions like this have been controversial in the past couple years. Christian McCaffrey sat out his bowl game leading up to the 2017 Draft which drew the ire of some fans, claiming that he was quitting on the Stanford football team. I don’t think that argument is fair, especially when we’ve seen players like Jaylon Smith or Ifo Ekpre-Olomu who dropped to the second and seventh rounds respectively after being highly-regarded, potential first-rounders leading up to their drafts. Smith even sustained his injury in a bowl game. It’s hard for me to blame any athlete for wanting to maximize the monetary value of their draft selection, especially when it could be number one. Since Bosa is done with college football, the next possible action we might see from him is the combine. I wouldn’t be surprised though if he mostly sat that out too. At this point, Bosa doesn’t really have to anything more to help his draft status; it’s essentially set in stone that he will be a top-3 pick. The only mystery is which team will be bad enough to win the Bosa sweepstakes.